It is Toy Fair season and all the big toy companies are showing off their new offerings for this year. The New York Toy Fair is held from February 13-16, the Spielwarenmesse in Nuremberg will take place from 27 January to 1 February and the first reports about the 2016H2 technic sets are coming in from the London Toy Fair 2016. The set number is a little odd as is comes before the 42052 Heavy Lift Helicopter. Even so, that doesn’t really provide us with much information, because the Helicopter is a +1000 piece set and the two following sets that have been shown on the London Toy Fair are clearly smaller than the helicopter. LEGO has done a similar vehicle before. 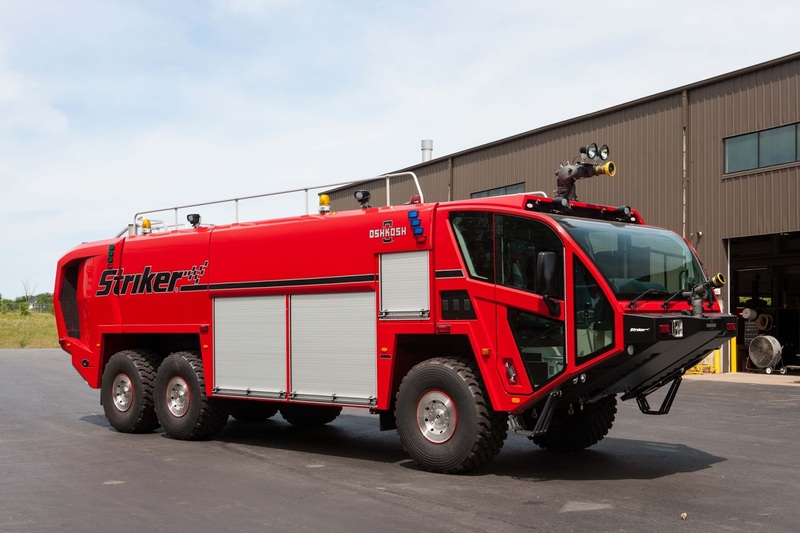 In 2003 it launched the 8454 Rescue Truck with 693 pieces and a retail price of around €70 it looks like this new model will be somewhat smaller and/or possible less technically complex. 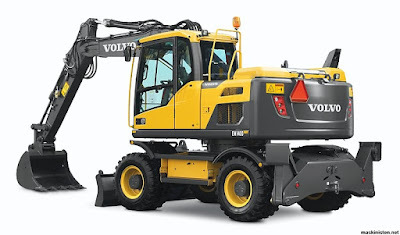 It looks like we will get a wheeled excavator instead of the (for LEGO) more traditional tracked base. I am particularly curious to know is this set will take advantage of the new longer pneumatic cylinders. In addition, while Hew indicates the model includes a (hand) pump, it is not entirely unlikely the model may come prepared to be motorized as was the 8049. You can check out the 2-part review of the model here and here. The second part reveals the possibility to motorize the set with a compressor built with the small pump included in the set. As for the cylinder count, that again will depend on the size of the model. On the past LEGO has mechanically linked the movement of the second stage of the arm with the closing/opening of the bucket in smaller models, but I sincerely hope the model will feature 3 independent controls, with a single cylinder for each of them. 42054 Claas Xerion 5000 tractor. £120. A pretty faithful representation of the real thing. It's lime green, as you'd expect. It's fitted with a red log grabbing attachment and is motorised. It comes with new wheels which are massive. The cab rotates 90 degrees to enable the driver to get a better view at the back. Lime green appears to be a favourite LEGO tractor colour. Lime green was also used in the Tractor with Log Loader referenced above, the small 8281 and the even smaller 8260. 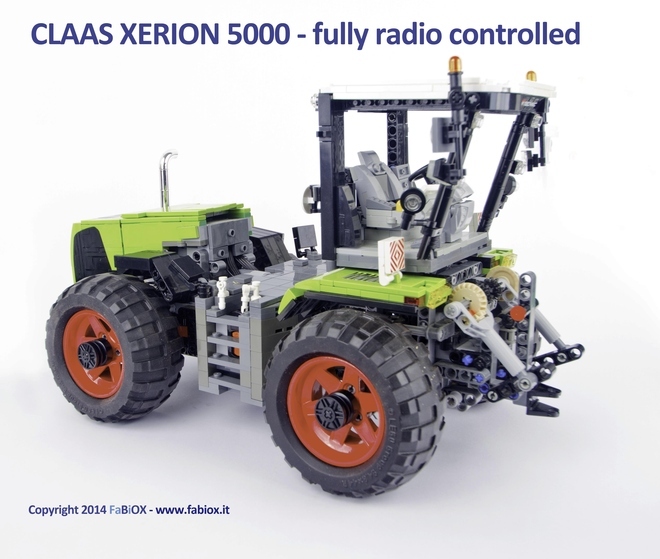 The Claas Xerion 5000 was also proposed as a LEGO Ideas model, but only gathered 183 supporters. 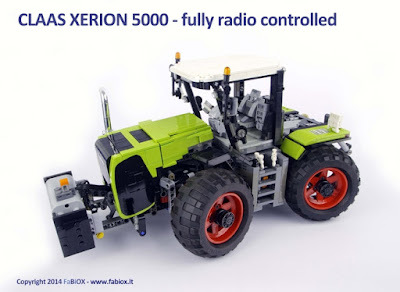 This version is not likely to anywhere as complex as the model proposed there and given the price I don’t think it likely it contains any motorized functions. The images of that model do give us an idea of what that rotating cab might look like. The massive wheels are also something to look forward to! 42055 Bucket Wheel Excavator. £180 Oh. My. God. What a fantastic thing! It's absolutely huge! It's the largest Technic model in physical size, by some margin, and also piece count, over 3000. It looks something like the bottom vehicle shown on this page, in that there are two conveyer belts, one lifting material up from the buckets, the other taking it to a nearby truck, which is included. It's hard to estimate the size but it's probably 50cm high and slightly longer. The colour scheme is mostly grey but with a good smattering of yellow beams and dark blue panels. Definitely best in show for me! The largest Technic set ever, both in piece count and size, by the sound of it. I remember seeing one of these monsters operating in Germany and they are absolutely massive. A single bucket on the bucket wheel can excavate more material than a large dumper truck can hold! 42056 'confidential super car'. Exactly what this is was not revealed, and won't be for some months we were told. It's about the size of 8880 and we think it'll be black although, like when prototypes of real cars are test driven, it was covered in 'camouflage' stickers to make it difficult to determine what it is. I can tell you however that it comes with a lot of new curved panels, including mudguards, and weighs in at a massive £250! Chris has fallen in love with the set and thinks it could be a Porsche 911 GT, which is certainly possible. According to another source, the name for the set is 42056 Confidential Technic Ultramotive, which basically means the same thing: one heck of an expensive supercar. Personally I hope this is not another collaboration for an existing model (Porche, MacLaren, or other). 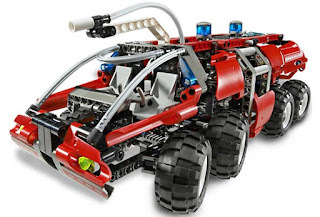 It would drive the price up unnecessarily (or maybe that explains the price tag) for a car which in my opinion is the perfect opportunity to take LEGO supercars to the next level, including all sorts of innovative solutions to include technical detail. They finally listened! I asked Lego about a bucket wheel excavator, I don't even remember if I received an answer... Anyway, looking forward to the second half! The thing I'm most excited about is the tractor. Given the subject matter and the price, could we finally get a worthy successor to the legendary Power Puller wheel? As for the excavator, I'm cautiously optimistic. Huge sets like the 42009 Mobile Crane are at the threshold of how big a Technic model can be, as they struggle a lot with their functions. After all, there's a limit to what unlubricated plastic gears attached to axles supported without ball bearings can do. Maybe the Volvo will bring new parts that take advantage of the new turntable, and enable three functions to pass through it, without the current gearbox elements' huge backlash? As for the others, the information available so far is insufficient for me to tend for either good or bad. To my knowledge 42051 won't see the daylight, that's why there is no information about it and it was not at London. Looking forward to see the Ultramotive car! This could also justify it won't be revealed still for some months, while the components could be still under development (pure speculation of mine). That sure is a lot of speculation ;) But I don't know, I think it would be hard to keep a secret like that well... secret. Like you said only time will tell. Another possibility about the absence of info about the Fire Truck is because it might be a Toys'R'Us exclusive: those sets are usually absent from toy fairs. No, it won't be released! Something similar happened in 2013, with 42003. I suspected the report to be not complete when stating that the cab turns 90 degrees. 180 degrees (as seen on zusammengebaut video) is a big thing with the Xerion tractor. There are some other tractor brands for normal agricultural tractors that have reversible drive but they don't move the whole cab. 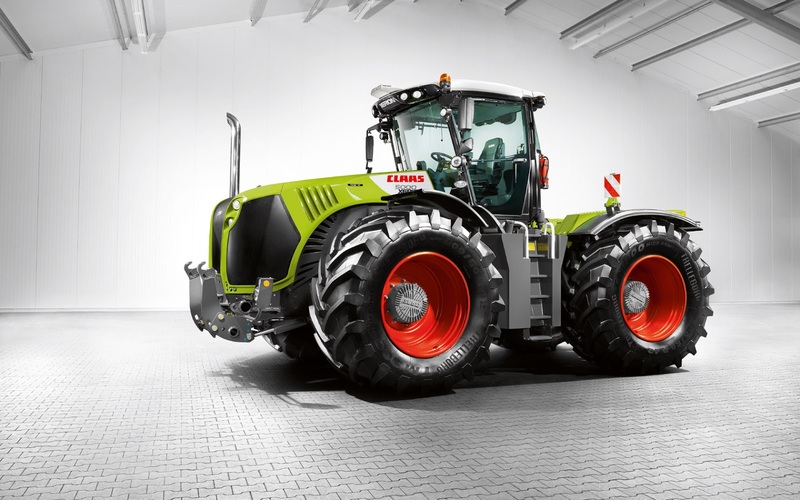 Fendt turn the seat and steering wheel around while Valtra have an auxiliary steering wheel at the back and only turns the seat. But what I really appreciate with the 42054 is tires with tractor treads! Finally! Info: Crab steering is useful when the farmer want to spread the soil compaction over a bigger area. 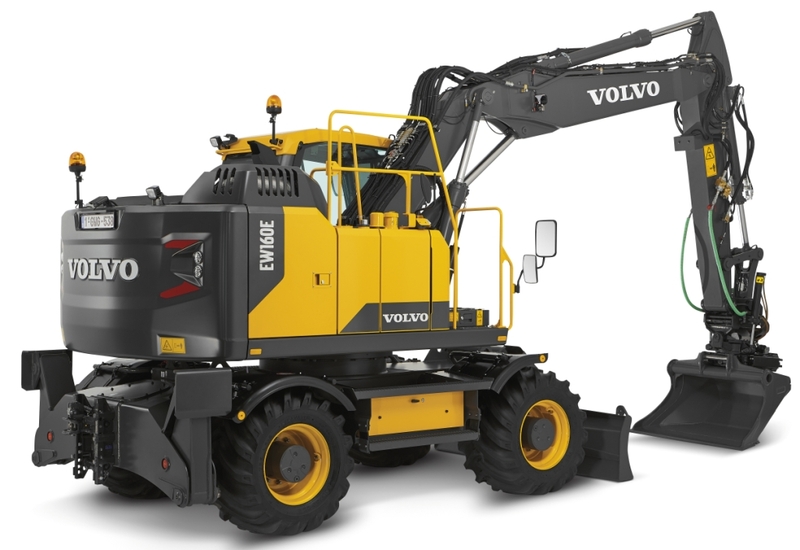 The crane in the A "model" have curved panels that will probably be put to good use for the silage plough. Only boring this is that this is a repetition of 8110 Unimog A crane and B snow plough. When you wrote "massive wheels" i also immediately started thinking about power puller wheels, which sells at 15$ a piece !!! If this tractor comes with PPW's then it'll sell like hot bread..like.. molten lava hot bread !